Year 8 Chittering Broncos players. The Year 3s have transitioned from Auskick into junior football, playing at opposition grounds now as well as on home soil. It is a big move for the little footballers, but so far they have played enthusiastically and used all the skills they learnt in Auskick. 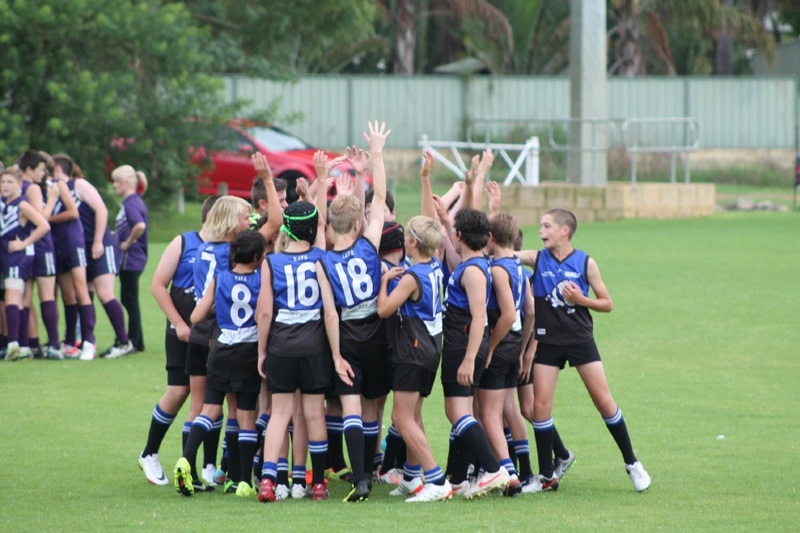 Last year’s premiers in the Year 8 age group sat on the sideline for a bye for the first week of the season, and then came up against Ellenbrook White on Sunday. The Chittering boys were slow to get going in the first half and were four goals down at half time. After a pumped up talk from their coach Jason Woodlouse, the boys came out and controlled the third quarter with some excellent teamwork. The decider was the fourth quarter, with Ellenbrook able to hang on just enough to take the game 48-47. It was a thriller for spectators, with encouragement and praise echoing around the field for both teams. Year 9s started the season with a game on home soil against Ballajura. Ballajura showed the strength to take the high-|scoring game home with a 132-80 win. The Chittering boys still put in a valiant effort to get their points on the scoreboard after such a fast-paced game. They enjoyed a bye last weekend, giving them time to regroup in preparation for the next line up against Kenwick on their home turf.